In this last batch, Gemini Springs came through with 8 of 18 birds. Unfortunately, all of these were expected species, except for the surprise – though not super-rare – Cooper’s Hawk I saw as I was leaving the park on April 30. Of course I took advantage of trips outside of DeBary to pick up birds. A quick stop on the way to Turtle Day at the Marine Science Center yielded American Oystercatcher for April 21st. On May 4th, Arthur and I went out to Merritt Island to watch an Atlas V rocket launch – and a quick spin around Black Point Wildlife Drive gave me a few special birds to choose from. 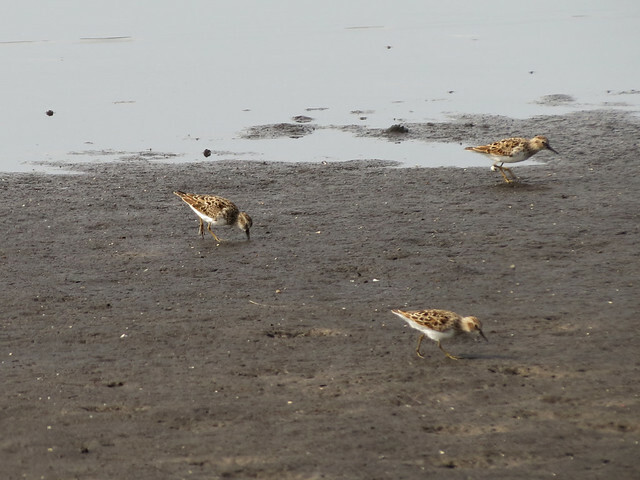 I picked Least Sandpiper. We drove out to Lake Monroe Conservation Area on the night of the “super moon,” May 5th. 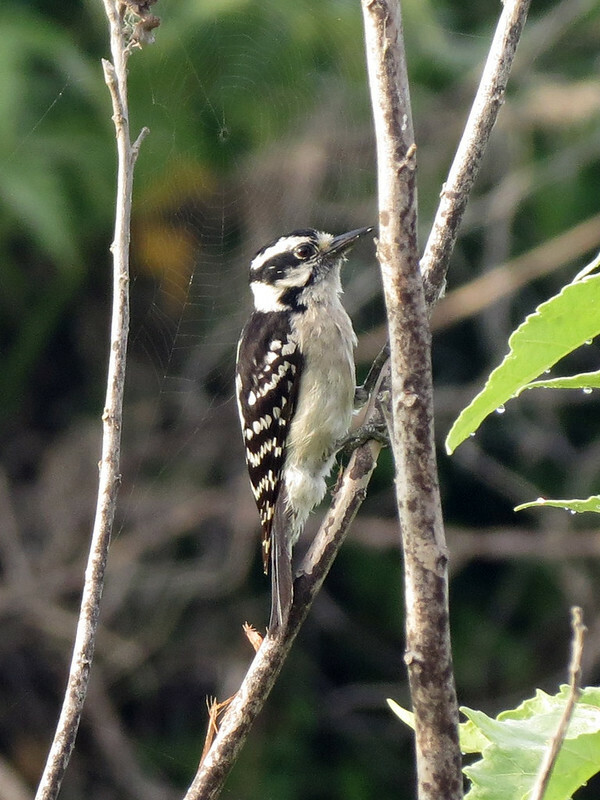 A Florida listserv post suggesting that birders go out and listen for Chuck-will’s-widows was all the encouragement I needed. I checked eBird for local sightings, but came up empty. Not wanting to drive too far, I checked Google Maps and thought the Kratzert Tract of Lake Monroe C.A. looked promising. Score! We ended up hearing at least three Chucks, plus a bonus Barred Owl. I’m hoping for lots of birds to choose from in the coming week. White-crowned Sparrows, White-breasted Nuthatches, and Black-capped Chickadees are regular visitors to my parents’ feeders (and unlikely in central Florida). Other possible challenge birds I expect to find include Eastern Wood-Pewee, Canada Goose, Yellow-headed Blackbird, Bobolink, and Mute Swan. 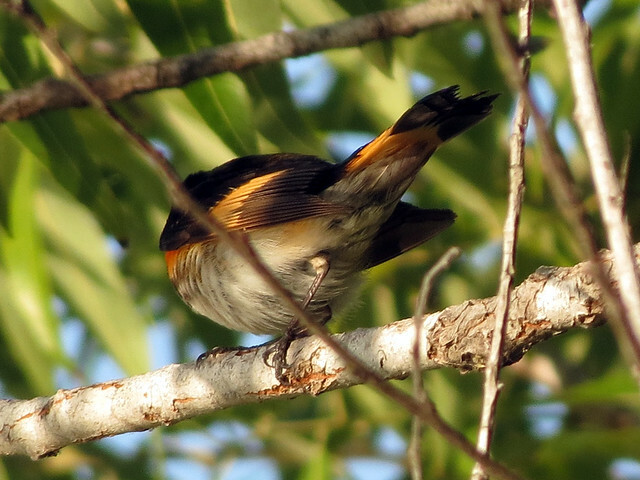 And warblers! Oh, how I miss warblers! I’ve seen a few this spring, but not enough to satisfy. Hope to remedy that in the coming days! Bring it on.